The septic system attached to your home has one very important job. It is designed to take the biodegradable waste created by your family and break it down by using bacteria. It should do all of this without you ever taking notice of it, and even though the tank located under the ground near your home will be filled with waste, you shouldn’t ever get a whiff of it. Your septic system includes several different forms of ventilation that are there to eliminate any septic tank odors. 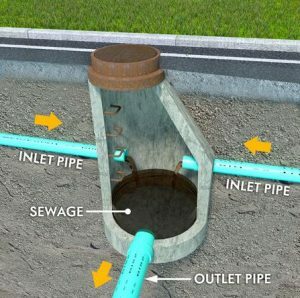 One form of ventilation will take the gases that build up in your septic tank and discharge them out into the drainage field that is a part of your septic system. Another form of ventilation will take the gases and send them up through a vent that comes out of the top of your roof. When these gases exit your septic system through your roof, you usually don’t have to worry about encountering them. And it’s a good thing, because these gases can obviously be very strong and unpleasant. Over time, you may find that the ventilation in your septic system is not working as well as it should. Blockages in your septic tank and other issues can cause the gases in your system to get backed up or to vent out of places where they shouldn’t. This can lead to septic tank odors affecting your home and yard, and it can require immediate attention. If your septic system isn’t ventilating properly, you should have it inspected right away by a trusted septic company to get rid of the problem. Carolina Septic Pro can provide you with all of the septic system services you need to keep your septic tank and all of the various parts of your system working. We can also do regular maintenance on your septic system to help you avoid any problems with your ventilation in the future. Call us at 704-626-6622 today to schedule an appointment.